We just went nuts with this one! This package includes a 10 oz. jar of Blister-Fried, a 9 oz. 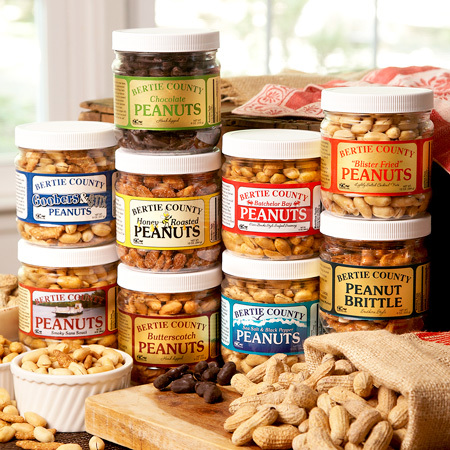 jar of Cashews, an 8 oz. 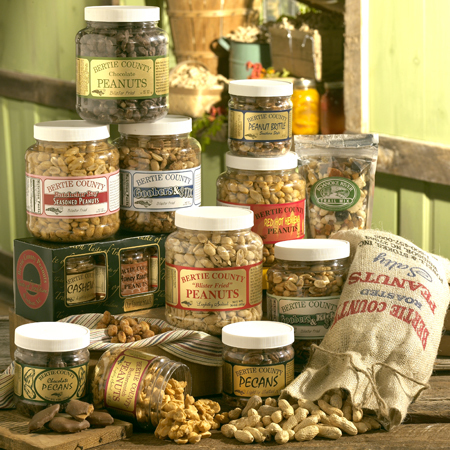 jar of Pecans and a 2lb. Burlap Bag of Salted, Roasted in the Shell Peanuts. All four come on a wicker tray – just perfect for entertaining! 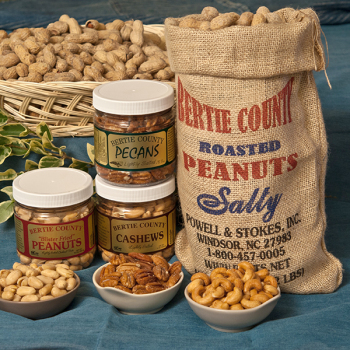 We have been big fans of Bertie County Peanuts since we received our first jars as a Christmas gift. We sent a gift basket to some neighbors who helped a great deal during our recent household move. They were also very impressed by the quality and taste. I think we may have generated another mail-order customer!